A Retro MP3 Player! . Play your favorite retro songs with this cool mp3 player. Bring back your C64 memories playing your mp3's with this classic Commodore 64 Theme player. This Classic Commodore 64 Mp3 Player was created using ClickTeam's Multimedia Fusion. File is aprox. 1.2 Mb. 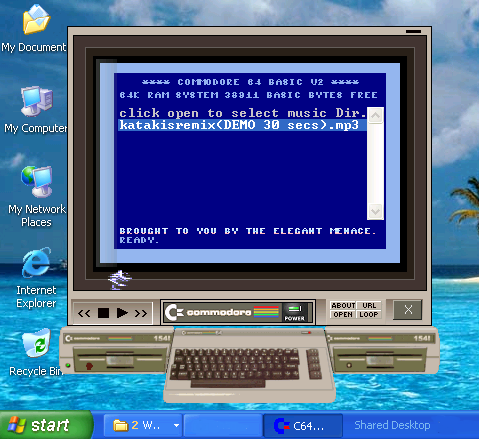 Don't forget to download my Katakis Music Remix for a complete retro trip! IMPORTANT NOTE: This is a stand-alone executable file, no installer is provided. You must SAVE your download in order to run it later. If you prefer to obtain a simpler version, contact me.